Used magazines get a new life in Issue 09/re-edit. It all started from an invitation to rejuvenate their old issues by Graphic Magazine. Henny perforated holes of different sized and shapes through a series of outdated fashion magazines cover to cover, leaving unique and unexpected results on each of their glossy pages. The process starts at the covers, slowly working inwards through to the center spread of the magazine. 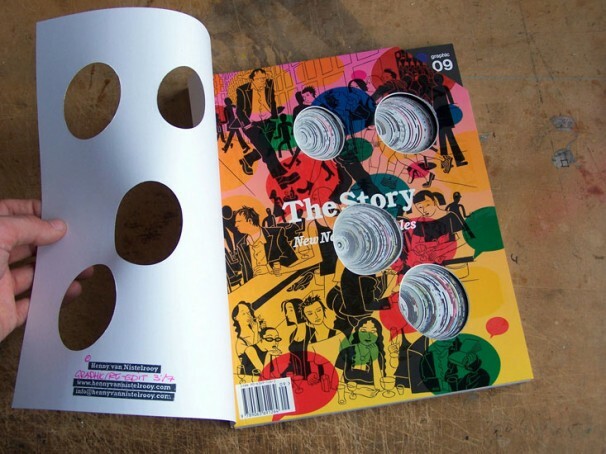 Each time a the magazine perforated, a hole appears on each page, which connects the two dimensional pages with one another in a sculptural manner. The photo spreads and articles are punctured in random places and create new graphic images. Old magazine are turned into a three dimensional object introducing a brand new visual experience.